Specifically designed for the European DTH markets, this Quad LNB provides optimized reception capabilities. 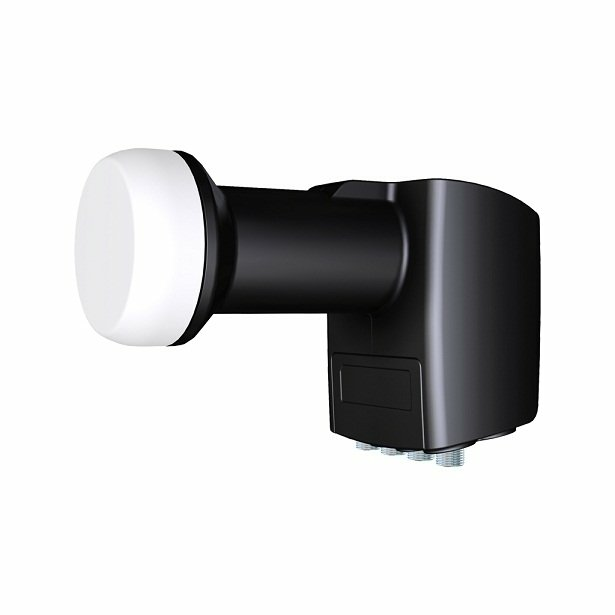 With its terrestrial input this Quad LNB enables the combation of terrestrial signals (analog and digital) with the satellite signals to maximum four Set Top Boxes with Single Tuner (or two Set Top Boxes with Twin Tuner). It is ready for High Definition transmissions and provides excellent Noise Figure performance. Designed to meet strict specifications and manufactured to the highest industry quality standards, this LNB is an ideal solution for satellite broadcast reception across Europe.